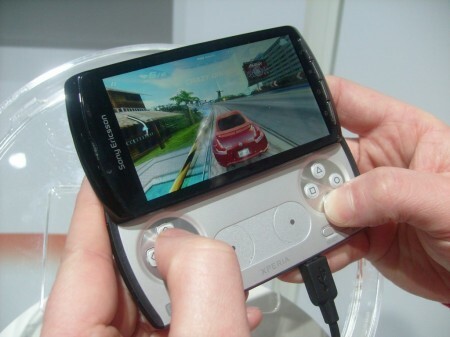 Sony Ericsson have announced that their new Xperia PLAY handset will have more than 60 games available in the first week. Need for Speed, The Sims and Assassins Creed will be available, as will Worms, Guns ‘n Glory, Tom Clancy’s Splinter Cell and many more. Owners will also be able to download original PlayStation games which can be downloaded exclusively on the PLAY. These include Crash Bandicoot, Cool Boarders 2, Destruction Derby and Jumping Jack Flash. Your game collection will start with Asphalt 6. This is free with all Xperia PLAY handsets. 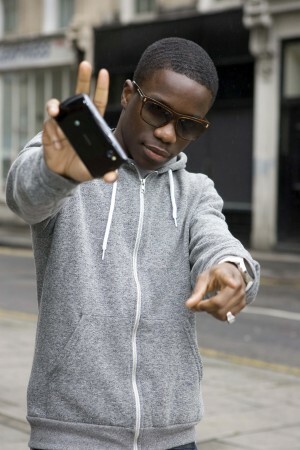 Click on for the full press release or go up-close with the handset itself. London, April 1, 2011 – Sony Ericsson Xperia™ PLAY, the world’s first PlayStation® certified smartphone, is now on sale in shops in the UK, Germany,Netherlands, Austria, Switzerland, Sweden, Norway, Denmark, Russia, Hong Kong and Taiwan with further availability in an additional 6 markets over the next 2 weeks. The Xperia™ PLAY launches with more than 60 games from the industry’s biggest content providers including Sony Computer Entertainment, Gameloft, Electronic Arts and Glu Mobile. The range of games available to download at launch is a combination of original PlayStation® titles, well known 3D titles that take the full advantage of the graphical capabilities and controls of Xperia™ PLAY as well as popular casual games all optimized for the unique game pad. · Need for Speed – Grab the wheel of the fastest, hottest, and most powerful cars in the world. One of the most successful video game franchises of all times. · Tom Clancy’s Splinter Cell – The latest instalment in this key franchise. Special Forces operative and renegade Sam Fisher returns to fight a corrupt secret agency. · Dungeon Defenders Second Wave – Stunning graphics, intense gameplay and exclusive on Xperia PLAY. · Gun Bros – Choose your weapon and join the ‘Freakishly Rugged’ action heroes Percy and Francis Gun as they take on a terrifying menagerie of alien beings. · Galaxy on Fire 2 – Escape into space with hours of deep gameplay and mind blowing graphics in this space exploration game. · Guns ‘n’ Glory – You lead a gang of bandits in this popular and award-winning casual tower defence game with a hilarious western theme. · Worms – Send your worm platoons into battle in this award-winning turn-based strategy game. · Zenonia 2 – The lost memories – Classic and popular RPG. Numerous quests following an epic storyline. · Backstab – An epic 3rd person pirate adventure that incorporates intense sword fights and other dynamic combat modes. Launching on April 14thexclusively on Xperia™ PLAY. · N.O.V.A.2 – Awesome graphics and intense multiplayer gameplay. This First-Person Shooter makes its Android debut exclusively on Xperia™ PLAY. In addition Sony Ericsson is happy to confirm that Asphalt 6 – the latest instalment of one of the leading and top-selling racing games will be available for free exclusively on Xperia™ PLAY. The games are downloadable via the “Xperia™ PLAY launcher”, an application that is activated by sliding open the gamepad. The “Xperia™ PLAY launcher” recommends games and enables consumers to search for top titles optimised for Xperia™ PLAY on Android market. There is also a range of PlayStation® original games available at launch (in select markets initially). These are comprised of a pre-install of the PS One classic Crash Bandicoot®* and a further 5 PlayStation® original games available to download via the PlayStation® Pocket application in Xperia™ PLAY. · Cool Boarders 2 – Time to pick up that snowboard again and rip through the snow with 16 intense racetracks. · Destruction Derby – Original car carnage. Buckle yourself into a new car and destroy it but send your opponents to the junkyard first. · Jumping Jack Flash – A first person platformer like no other. Leap around 6 colourful worlds in the cockpit of a robotic rabbit, hunting for the evil galactic property developer Baron Aloha. · MediEvil™ – Resurrected 100 years later you have returned to defeat the sorcerer Zarok. Perhaps the world’s least worthy hero, you set out to save the land once again–for the first time. · Syphon Filter™ – Become Gabe Logan: Guerrilla war expert. A man on a personal crusade to bring down an international terrorist ring and eliminate a deadly virus. More games from Sony Computer Entertainment will be added to Xperia™ PLAY on a regular basis. Xperia™ PLAY will be available in the following markets starting from today and in the next two weeks: United Kingdom, Germany, Austria, Spain, France, Sweden, Norway, Denmark, Finland, Netherlands, Switzerland, Singapore, Taiwan, Hong Kong, Russia, India and Portugal. As announced at Mobile World Congress Xperia™ PLAY will be in stores in the US market with Verizon Wireless this spring.